Wonderla Kochi Amusement Park's location sets it apart as a breath-taking weekend destination for the family. It is located at Pallikara, about 15 kms from Kochi city centre and is easily accessible. 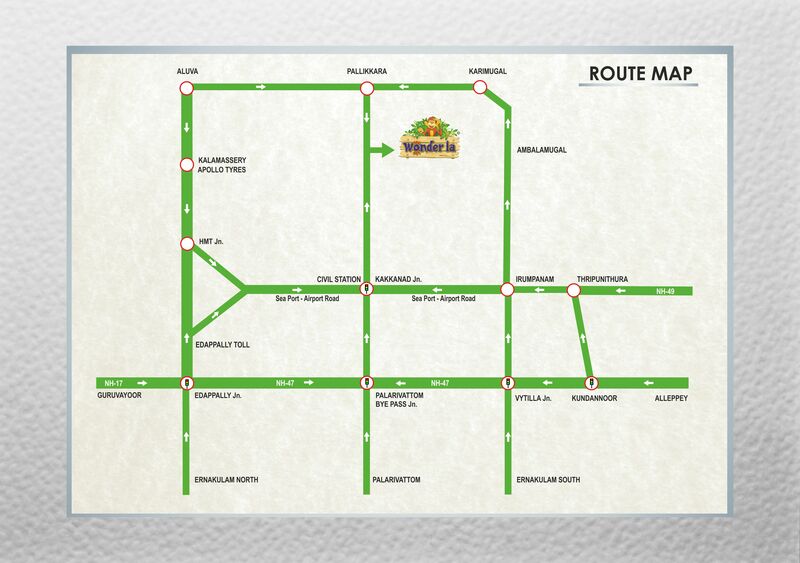 Download the complete route map. Note: The schedule above is meant for information. Please contact KSRTC for the latest schedule.